Sometimes I think we forget food is supposed to be fun. I'm certainly guilty of it. And then I make a recipe that's so easy, I'm reminded that the best things in life are often simple, uncomplicated, unfettered joy. With churros like these, that joy only lasts a few seconds. Did you know these classic carnival treats are basically a little sugar mixed with flour, boiled, and then fried? I had no idea. And now that I know the truth I think I'll probably be making churros A LOT more often. For these churros, I decided to get fancy and use coffee flour. It gives them a dark hue and a fragrant aroma that you shouldn't miss out on. I sized these on the small side as mini churros, but you're welcome to indulge in whatever size you'd like. Once you've piped and fried these little beauties, dust them with sugar and cardamom. I prefer cardamom to cinnamon on these as it's a more exotic compliment to the roasted coffee flavor, with an extra spicy kick. Mix a little cayenne with your homemade or store bought chocolate sauce and start dipping. It's an unforgettable flavor combo you won't find at the fair this summer. Don't forget to have fun with your food, kids. A little mess never hurt anybody. Combine 1/2 cup sugar with the cardamom. Line a plate or baking sheet with paper towels. 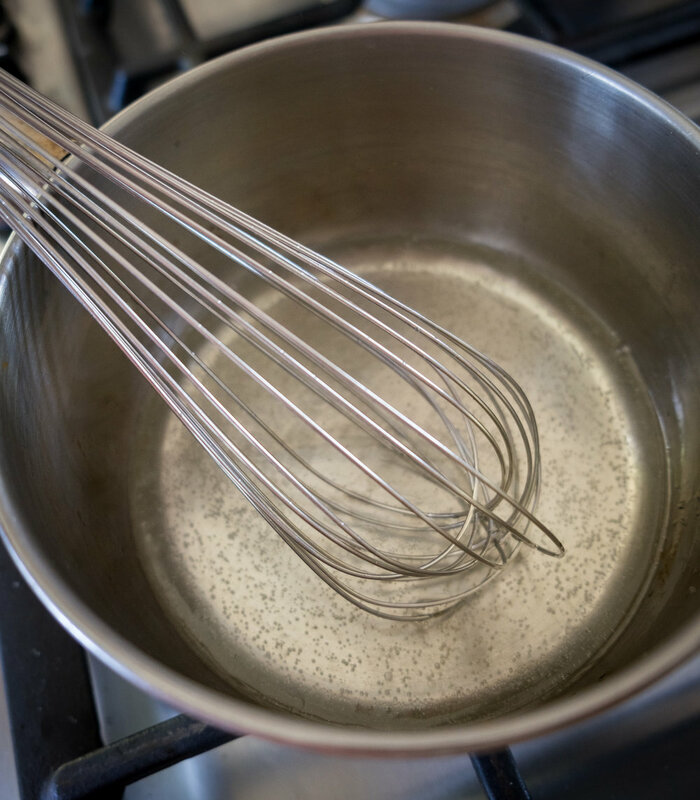 In a small saucepan over medium heat, whisk together the water, 1 1/2 tablespoons sugar, salt and 2 tablespoons vegetable oil. Bring the mixture to a boil then remove it from the heat. 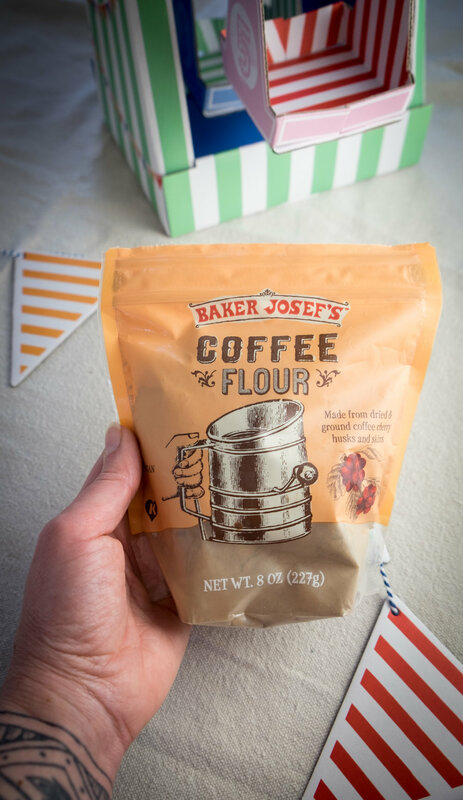 Stir in the flour and coffee flour, mixing until it forms a ball. Heat oil in a large, heavy-bottomed pot set over medium-high heat until it reaches 375ºF. Transfer the dough to a pastry bag fitted with a large star tip. Pipe the dough over the pot of oil to a length of about 4 inches, then using scissors or a sharp knife, cut it so it releases into the oil. Pipe two to three churros into the oil at a time, frying them until they're golden brown and cooked through. Transfer the churros to the paper towel-lined plate to drain for 2 minutes, then roll them in the cardamom-sugar mixture. Repeat the frying and coating process with the remaining dough. Place the chopped chocolate in a small bowl. Warm the heavy cream in small saucepan. Pour the heavy cream over the chopped chocolate. Let it sit for 1 minute then stir to combine. Serve with warm churros. Want a little more spice in your life? Come follow A Sweet Little Life on Instagram.